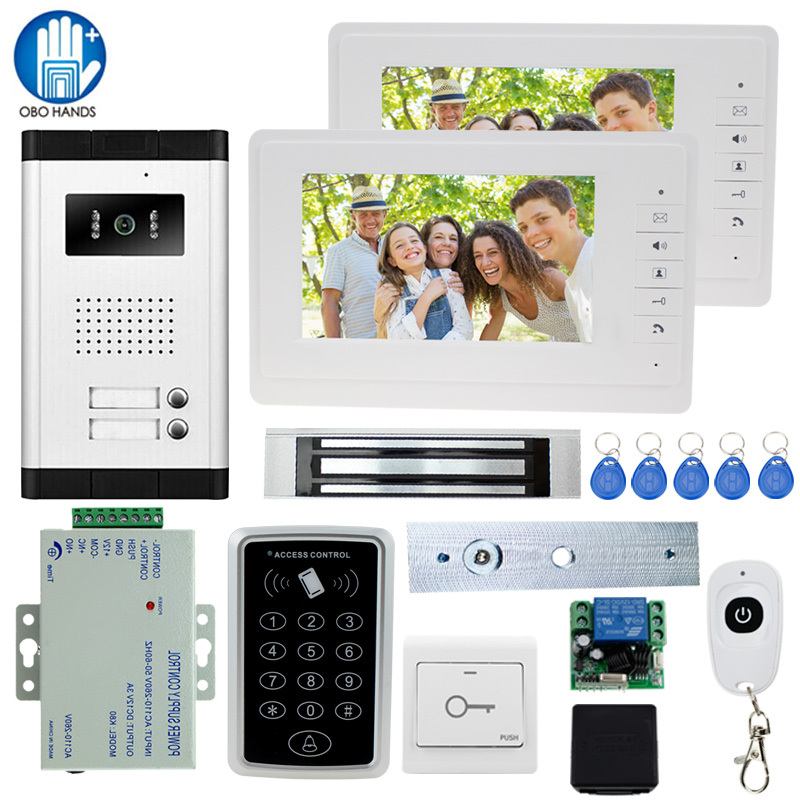 video door phone kit set of indoor monitor+outdoor camera+access control machine+power supply+Magnetic lock+door exit button +remote control+keyfobs,let’s you more convenient! If you want more keys, please feel free to contact us. Thank you! This video door phone system you are watching now is your best choice. It has nice appearance and excellent performance. About the outdoor unit, a 700 tvl camera lets you see clearly who is at the door, built-in led lights enhance the night view. Besides, it has 2 buttons, each button can control a monitor independently. Can be used for multi apartments, especially suitable for low-rise buildings, don’t need to connect to internet! About indoor monitor, a 7” LCD color screen gives you great view, white color makes it look more fashionable. Besides, it is a 4-wire system, the installation is very easy, both of the outdoor unit and indoor unit have plug-and-play connector. It is a great system for home intercom and security! It supports Handsfree Dual-way Intercom, Indoor Monitoring, Indoor Unlocking, Night Vision, Mute Mode. Using it with access control machine, let you and others in and out more convenient! It contains 1 outdoor unit and 2 indoor units.By the way, we can provide the system for 2, 3, 4, 6, 8, 10, 12 units apartment. If you need, please feel free to contact us for quotation. The outdoor unit has 2 buttons, each button can control a monitor independently.Can be used for multi apartments, especially suitable for low-rise buildings, don’t need to connect to internet.The indoor unit has good shape, white color also makes it look more fashionable Stable microphone and speaker provide better Video&Audio performance. When a visitor ring the bell, the monitor will be activated and show the image outside, then you can see and hear outside. Press the answer button, then you can talk to outside, press the answer button againto turn it off. If you do not press the button after conversation is finished or if no one answer the call, the monitor will turn off automatically after 60s. It supports monitoring feature, press the monitoring button, you can see and hear outside situation. Please note: this kit does not has Room-To-Room intercom feature, it only supports outdoor to indoor intercom. (If you need the kit with Room-To-Room intercom feature, please check other item in our store). The outdoor unit embeds in 6 led lights, the lights will turn on once camera is activated (someone presses the call button or presses the monitor button). This feature allows you can still see color image (Not Black&White) at night. It is a brilliant design. This door phone can work with 12V magnetic lock, so you can connect an electrical lock to this system. With this function, you don’t need go to the door to open door for your guest, you just need to press unlock button on monitor. Besides, install an access control machine, then the door can be unlocked from outdoor by rfid keyfobs. Also, you can connect an door exit button and wireless remote control to open the door. It also works as an access system. This will bring great convenience for you and others. T11 is a non contact type induction card and password access control of security access control! This is AC110 – 260V/3A power supply controller for access control system.Connect to access control, all kinds of electric lock,amd exit button.It can directly control the lock;Helps to reduce the overload of the access controller;Automatic protection function of unexpected short circuit or power failure;NC/NO output mode can be selected for different types of electric lock. Aluminium shell adopts high strength material, with hard anodised processing. Corrosion resistant.Good quality and durable to use. This is a remote control device for the Door Access Control System use,after you connect it on this system, you can press the remote control to open the door remotely, the distance can rech up to 50 meters. It is a 4-wire system, we will provide 4 core connectors in the package, you need use 4 core cable to do the connection. Please refer to below wiring. Noted: Please leave us a message which type of power adapter you need, otherwise we will send it according your address. We are committed to your satisfaction. Your positive feedback and 5 stars rating will be highly appreciated. Thanks! 1.We will ship out order within 2-5 days (except holidays)once your payment is confirmed. 2. Please note that buyers are responsible for all additional customs fees, brokerage fees, duties, and taxes for importation into your country. These additional fees may be collected at time of delivery.We will not refund shipping charges for refused shipments. 5. Please fill out address in English,and make sure that your address in Aliexpress is matched with your detail shipping address before you pay.Russian buyers,please leave us your full name due to Russia policy,thank you! 1. Please contact us within 7 days after receiving the items if you are not satisfied with them. Return shipping will be paid by buyer. 2. For wrong item, you may return the product within 7 Days you received for replacement. 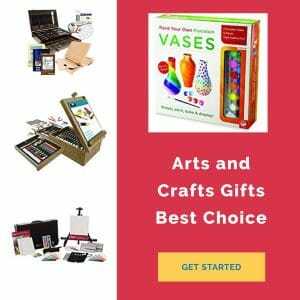 The products must be returned in new, resalable condition: Include all original packaging materials. If you have any question, Please send the message via Trade manager. All message will be answered within 24 hours from Monday to Saturday.